We are thrilled to be working with Books Make a Difference! 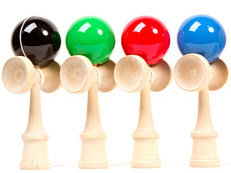 They have another Kendama Ball Giveaway, and we would love for one of our fans to win! Enter below! Never seen a Kendama Ball? Watch this YouTube video to find out more. MamaBreak did not receive any compensation for this promotion and is not responsible for the shipment of prizes.